Delicious food is the perfect addition to any event. 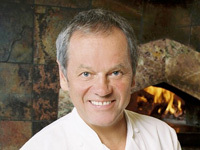 Let CTI help you book a great chef to deliver a presentation at your next meeting. 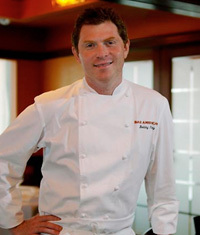 Celebrity Chefs are available for cooking demonstrations, and they can even consult with a catering company to create a unique and excellent menu for your guests. A cooking session can also be a fun and exciting activity to add to a larger conference or seminar to spice up a long day of company events. Chefs can also work with local ingredients to add a new and flavorful twist to an old dish, or teach basic cooking techniques. Book signings are a popular complement to any chef event. Celebrity Chefs love to speak on their signature recipes and sign their cookbooks for attendees. Allow the friendly and skilled agents at CTI to assist you in securing the top food industry experts for your event, at the most reasonable price. CTI works with a multitude of prestigious chefs, and can help suggest possible speakers if you are uncertain of who you would like to present, or if your initial preference is not able to attend.